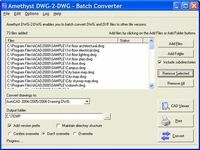 DWG to PDF Converter Pro is a batch converter that allows you to convert DWG to PDF, DXF to PDF without the need of AutoCAD. Key Features: 1. Convert AutoCAD DWG and DXF files to vector PDF in batches. 2. Stand-alone utility - AutoCAD NOT required. 3. 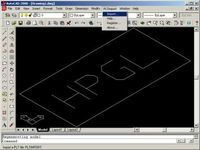 Supports every version of DWG/DXF files (Supports R2.5/2.6, R9, R10, R12, R13, R14, R2000/2002, R2004/2005, ... formats) 4. Very easy to use. 5. Create and format PDF bookmarks. 6. Optimize PDF output settings for print, press or web. 7. Multiple options for use. 8. Command line support.